As we demand healthier eating options which are sourced locally, the farm-to-table movement has flourished for those that can afford the novelty of fresh, organic hand plucked and crafted food. Meanwhile on-demand services like Lyft, DoorDash and Task Rabbit give us direct access to remote services from our pocket, without the need to leave our homestead. As Amazon prepares to enter the pharmacy market, the iconic prescription or pill bottle will be delivered to us in a 1-2 hour timeframe. Our own mental and physical health served via a fast-acting dosage straight to our kitchen table, pharm fresh. 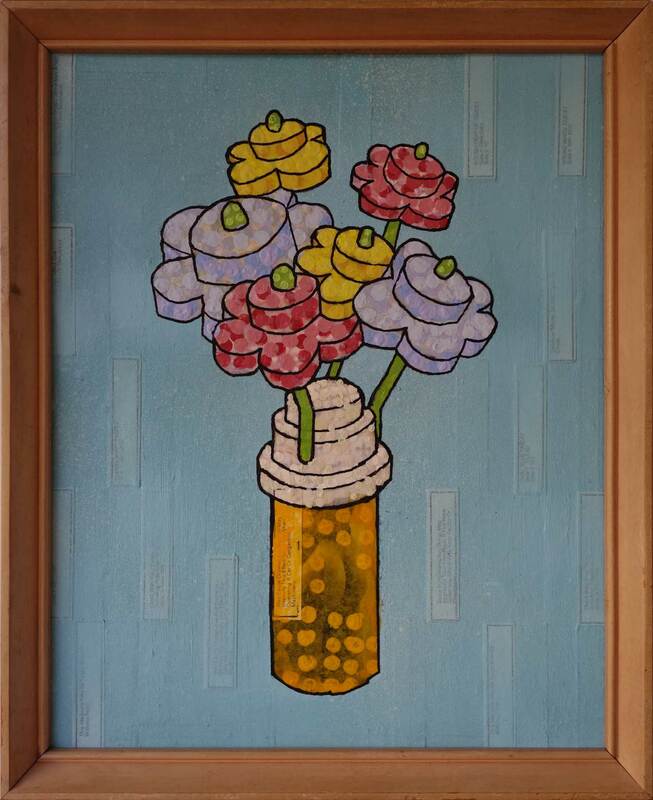 Prescription wrappers, spray paint, ink, acrylic on canvas.